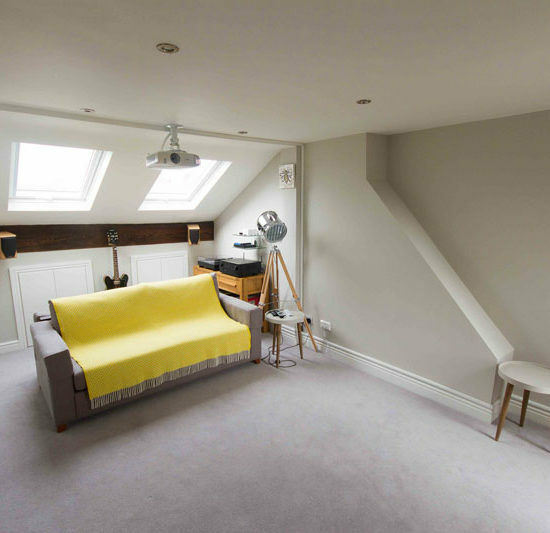 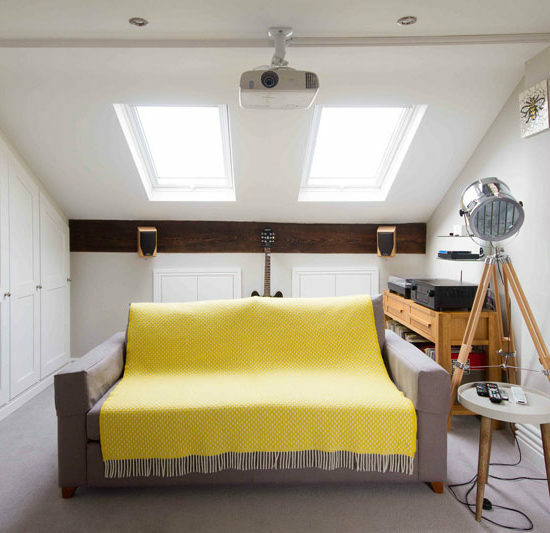 This typical small Victorian house in Chorlton has been transformed by the addition of a loft conversion. 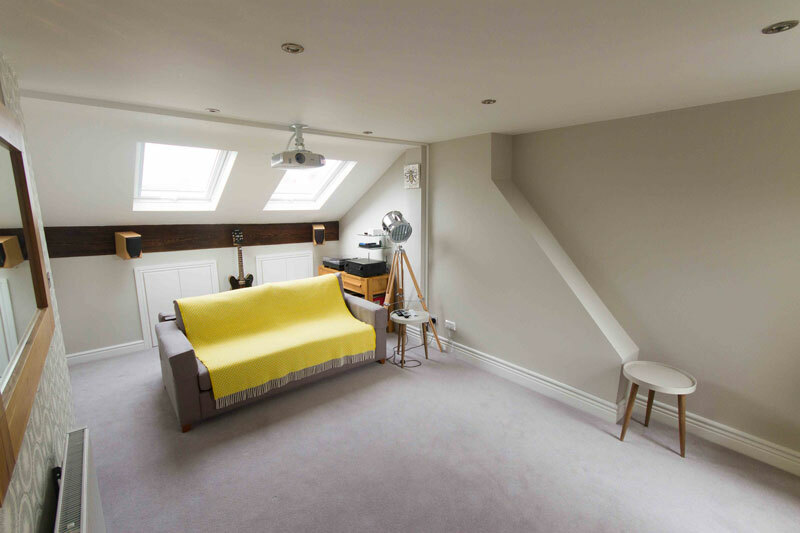 Extending into the loft has added a brilliant multi-functional room (guest bedroom/media room/yoga space), home office and shower room at the top of the house. 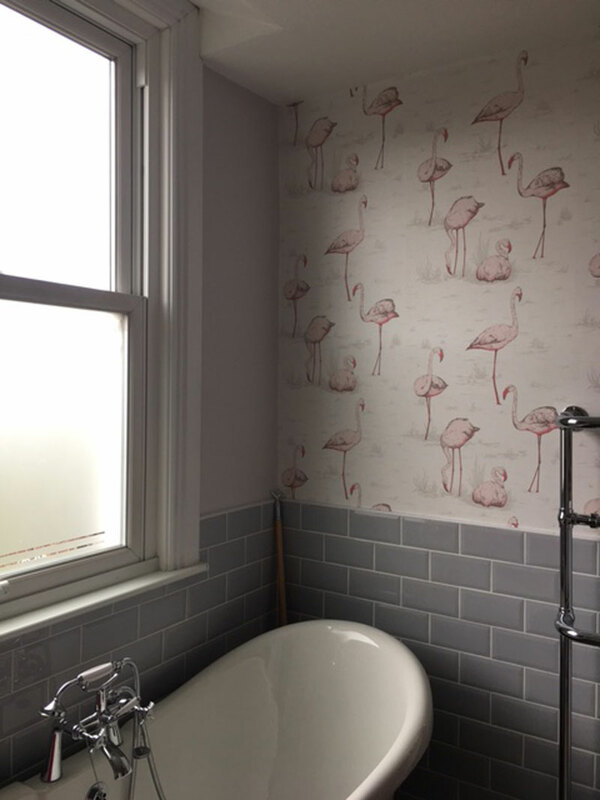 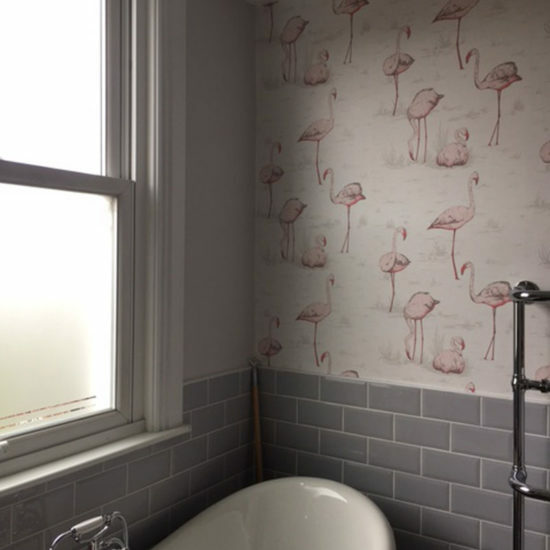 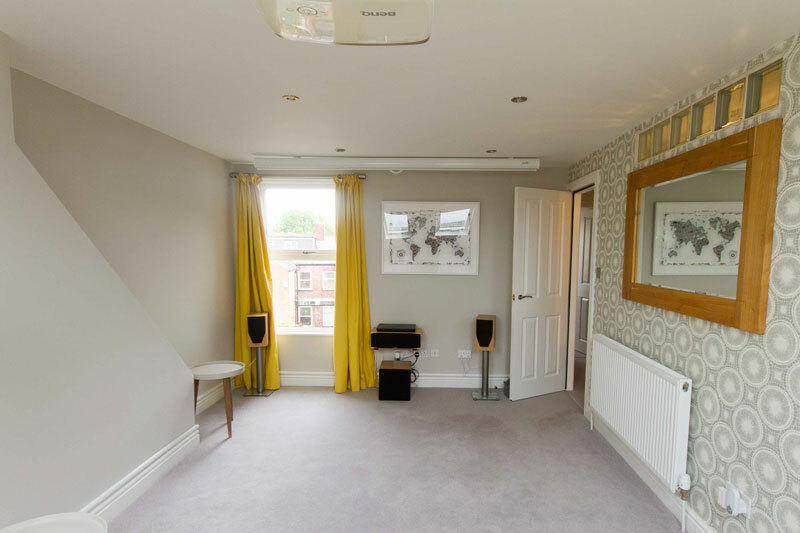 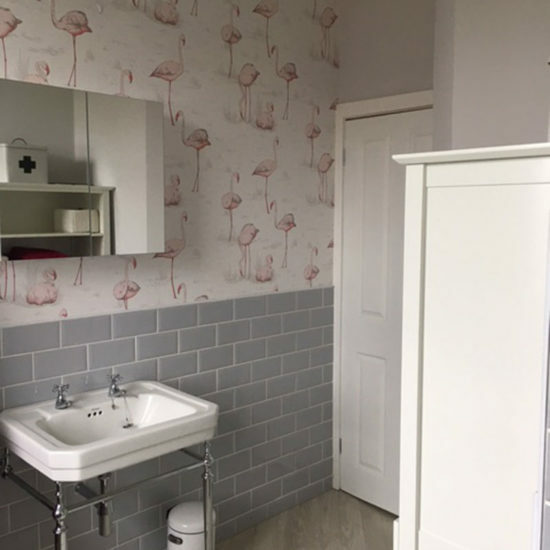 The client also took the opportunity to re-furbish the first floor at the same time to include bedrooms, a family bathroom and the hallway/stairs/landing areas. 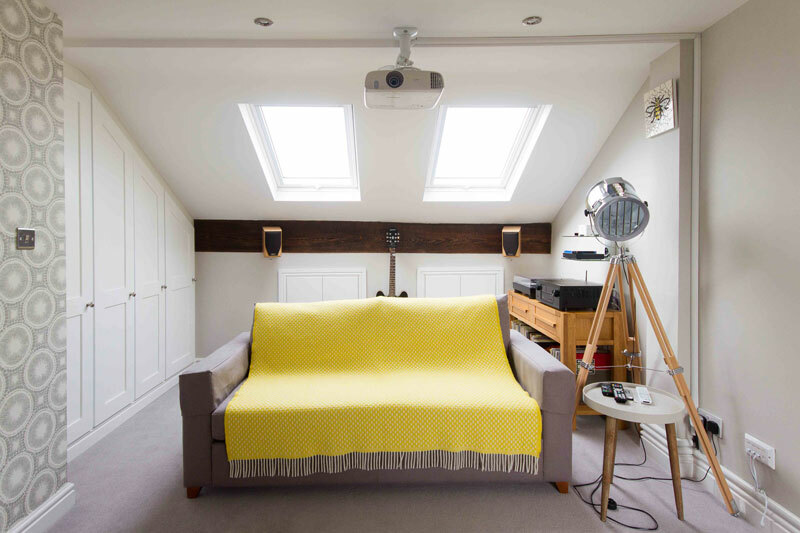 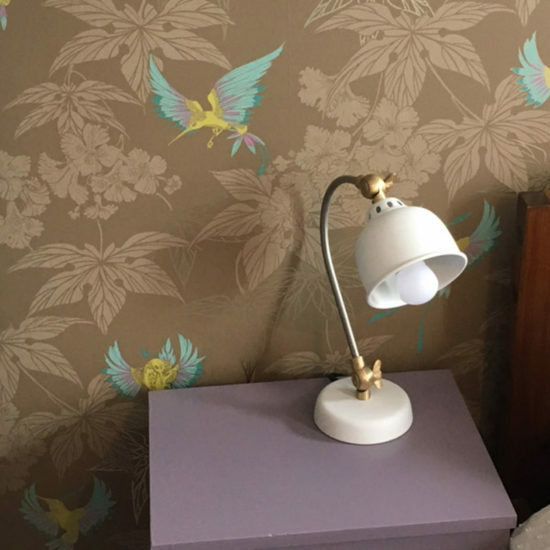 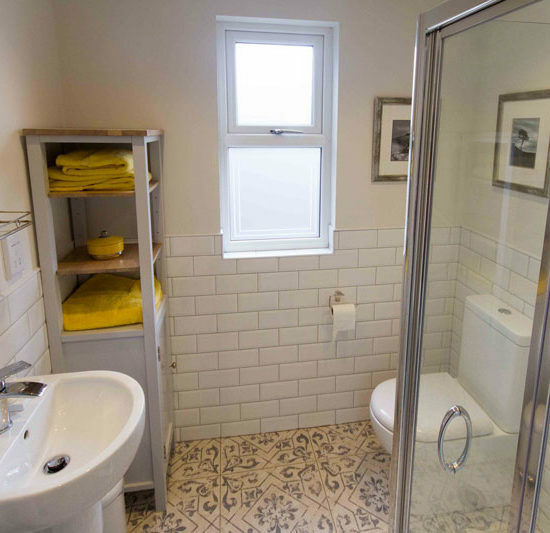 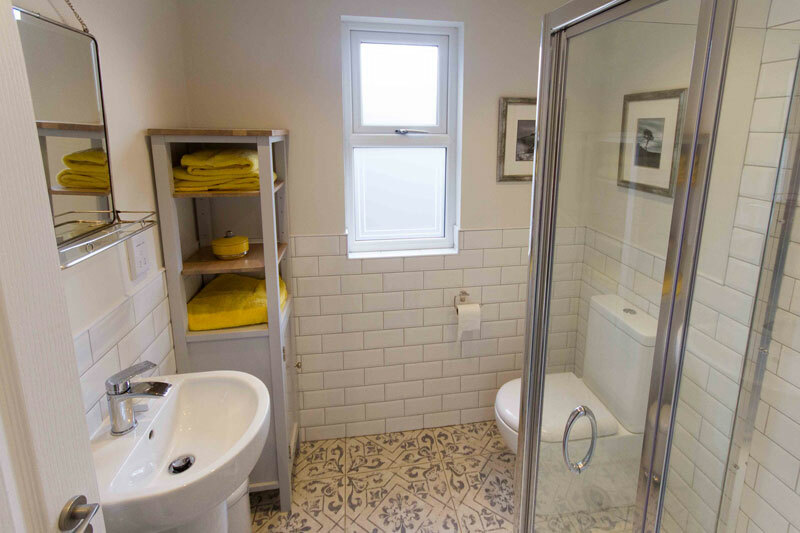 The interior design features sunny colour schemes, striking wallpaper choices and clever storage options. 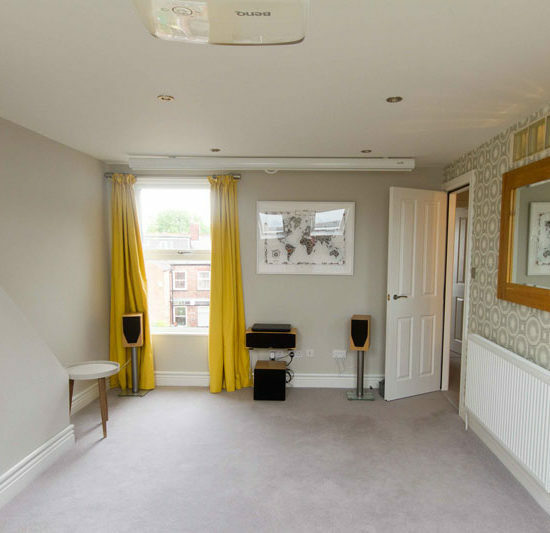 Cool grey backgrounds and flooring show off the colourful elements to maximum effect. 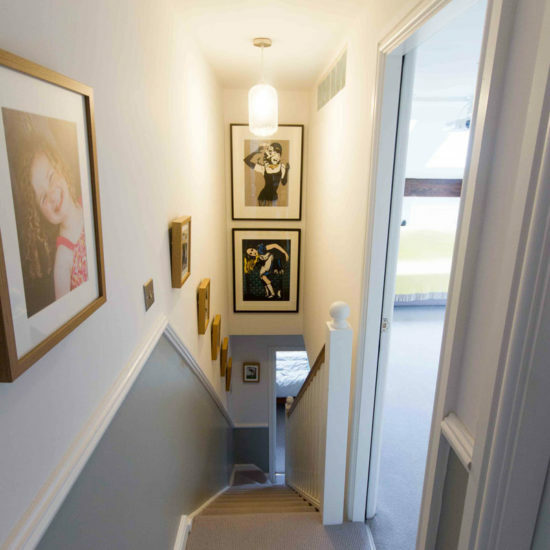 A joy to work on, the project has transformed their home and is a perfect example of maximising the space available in your existing property. 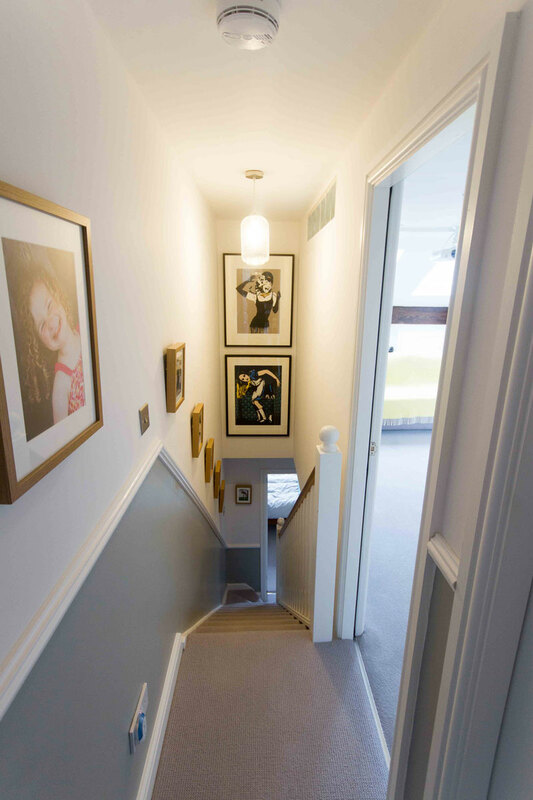 “Bringing Lucy in was probably the best part of the whole project, within one face to face meeting she had really sussed us out and what we were hoping to achieve. 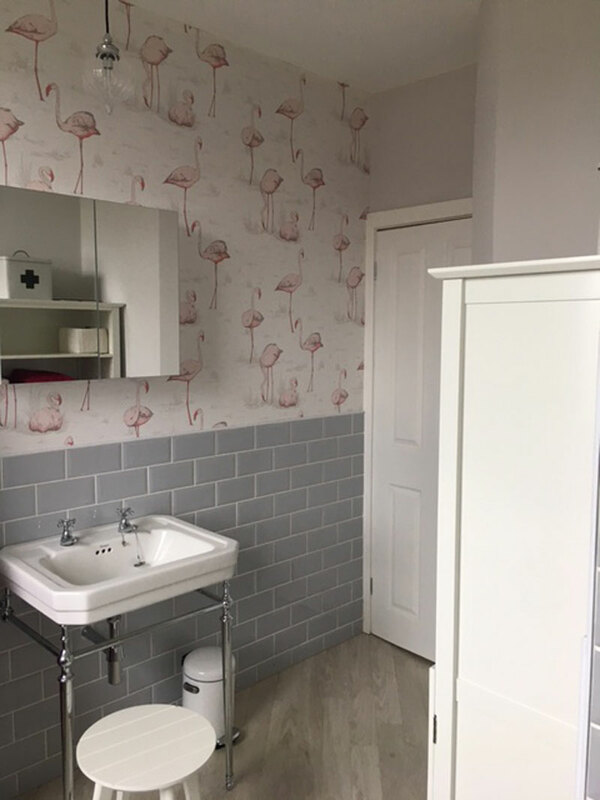 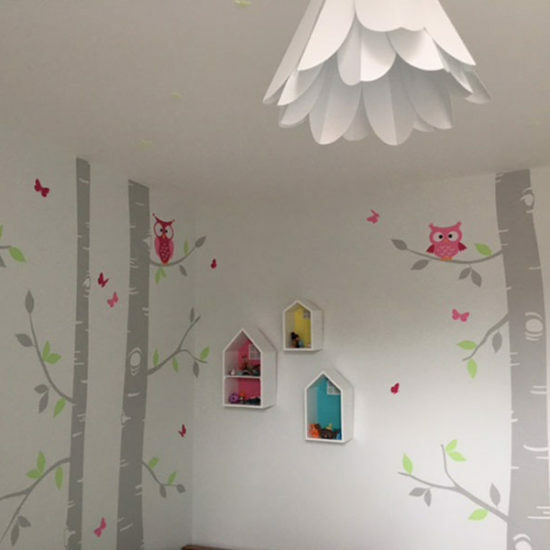 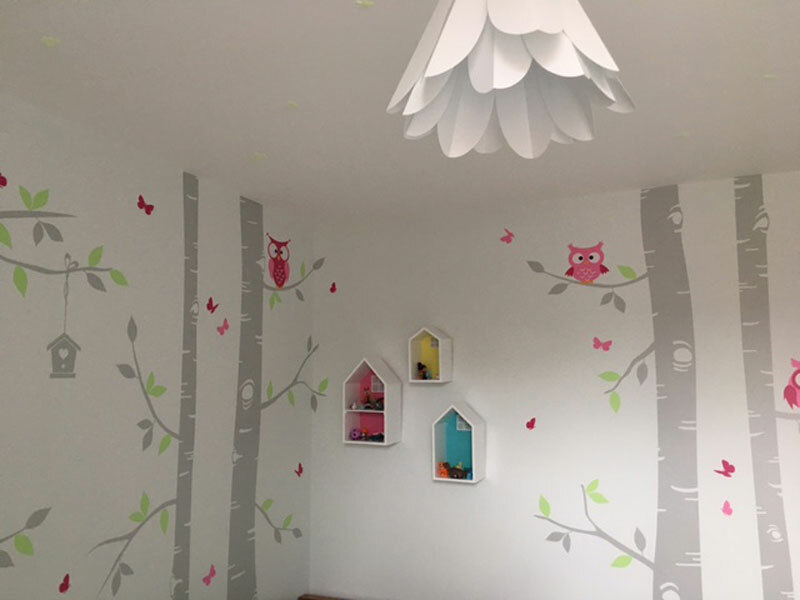 I thoroughly enjoyed the process of working with her, she also recommended decorators and a joiner to us who have been fantastic.